The veteran music star's performances in Leeds and London have changed after he noticed they clashed with Rosh Hashanah, the Jewish New Year, and Yom Kippur, the holiest day in the calendar. The 78-year-old, famed for songs such as Hallelujah and Suzanne, is playing a series of arena shows in the UK in August and September. 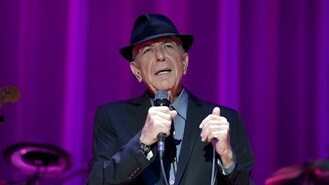 A statement issued on behalf of Cohen and promoter AEG said: "When Leonard Cohen learned today that two of his UK concerts were scheduled on days of solemn religious observance, he respectfully asked AEG to move the dates. "We at AEG, and Leonard, apologise deeply for the inconvenience this will cause, and we hope and trust that the reasons for the changes will be understood." The Canadian musician will now play the First Direct Arena in Leeds on September 7 and the 02 Arena in London on September 15.